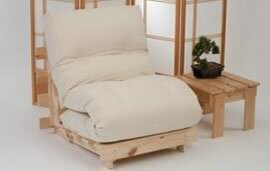 Futons, Futon Mattresses and Futon Low Level Beds - UK Delivery. The simple style of the Poetry provides ample seating for three and converts easily into a bed for two, with a choice of covering cotton fabrics and UK wide delivery. 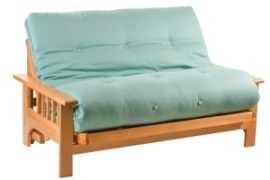 Iowa Oak 2 Seat Futon Sofa Bed. The lovely Oak timber frame of the Iowa futon sofa bed sets the style for this simple, classic, futon. Featuring a comfortable 6-layer 'rebound' futon mattress in a choice of cotton drill fabrics with delivery throughout London and the UK. 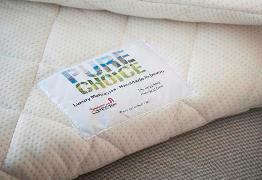 Pure Choice Chemical Free Mattress Toppers. 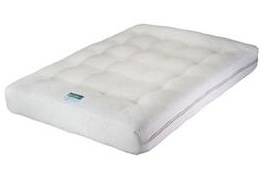 As part of our focus on healthy sleeping we have a choice of mattress toppers using special fabrics that are all naturally fire retardant to UK regulations with NO chemical additives. 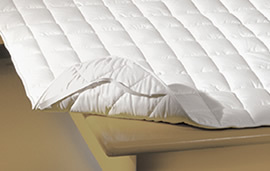 Add comfort and a healthy sleep to your mattress, suitable for use on all our futon mattress products. 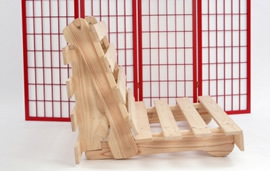 The Tokyo Tatami Bed has to be the classic Oriental bed set with the typical style of low level timber frame which can then be used in conjunction with Tatami Mats or on its own as a slatted style frame. 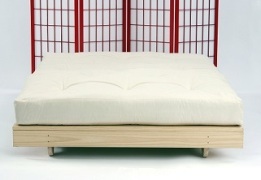 Welcome to Futon World. 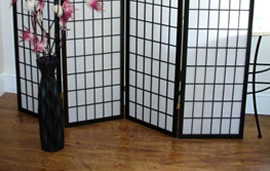 Specialist in futon mattress, bed and sofa bed products. Thank you for taking the time to visit our online store. We've been working with futons since 1994 and can deliver our range of futon products throughout London and the UK, please take some time to view our selection and if you have any questions, such as what type of futon or mattress suits your requirements or how long does delivery take, then please feel free to call us on 01752 662030. 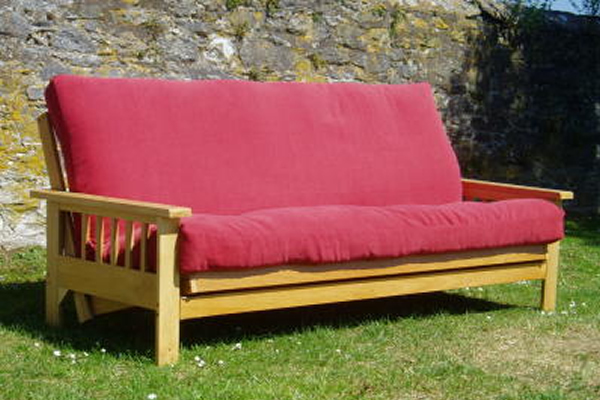 All our futon mattress products are hand made down here in Devon using traditional futon fillings such as lambswool and woolfelt and we also have a range of natural futon mattresses using the CottonSafe fabric, offering safe sleeping on cotton covered mattresses free from chemical treatments. We've a great range of traditional and contemporary low level futon bed frames that can be combined with our own futon mattress choice or used with your own present mattress. 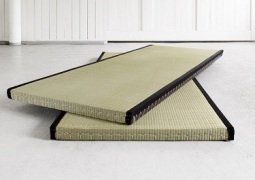 A selection of our beds, from Karup Design in Denmark, can also be specified with traditional compressed rice straw Tatami Mats for an authentic Oriental look and feel. As a family business customer service is important to us so please feel free to mail or call us with feedback or suggestions.